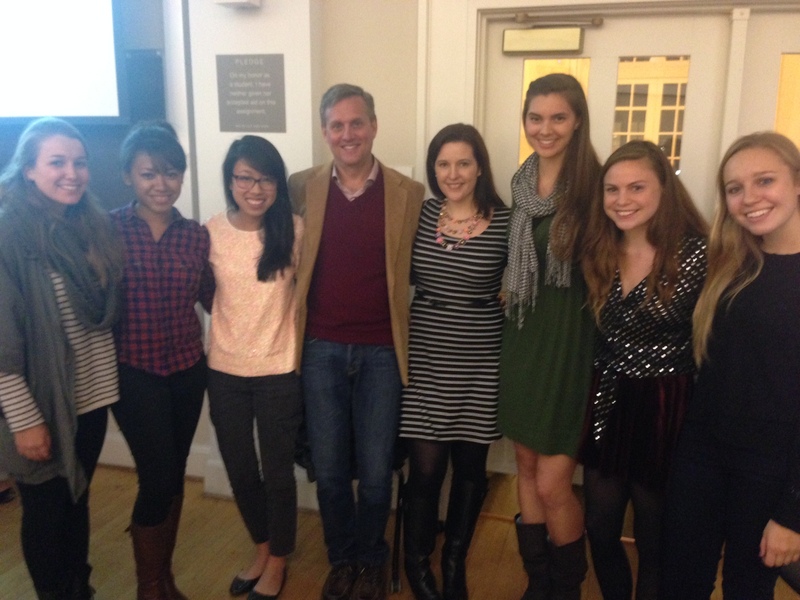 The Cville fashion community is inspiring and aspiring, from boutiques and designers, to stylists and jewelers. Tom Tom Fest hopes to bring together this thriving community at the Fall Block Party’s Creative Mixer. Tonight, from 7-8:30pm in Studio 10 at the McGuffey Art Center, connect with local designers, stylists, and artists of all kinds, including Tom Tom partners Rebekah Graves of Rebekah Graves Light Sculptures, Jessica Lee of willow knows, and Mai-Vi Nguyen, President of the Futures in Fashion Association at the University of Virginia (FIFA). Other local representatives include Suz Somersall, also known as KiraKira, and The Scout Guide Charlottesville. “We wrap a lot of specific, positive interactions for artists and creative people within the aegis of a big, fun party that asks Charlottesville: What do you want to be?” added Zelikow. The Creative Mixer’s partnership with FIFA embraces the Tom Tom mission by supporting University students with the backing of the Charlottesville community. Read the Q&A with Suz Somersall, and be sure to catch the grand opening of the Suz Somersall store at Stonefield in mid-October! When was the Futures in Fashion Association at the University of Virginia (FIFA) founded? How long have you been involved? FIFA was founded in Spring 2013, but we didn’t publicly announce ourselves as a new CIO (Contracted Independent Organization) until the Fall 2013 semester. Just to give a quick intro, FIFA is a student organization that aims to foster a fashion community on Grounds and help students learn about the industry and eventually work their way into working in fashion. We wanted to create this new CIO because we saw a lack of a more broad fashion interest group. There were more specific fashion design and modeling clubs, but nothing just for students who love fashion. Additionally, we saw a growing number of students interested in working in the fashion industry, but they thought it’d be impossible going to a college in VA.
I’ve been involved from the very beginning when FIFA was just an idea. I saw an email about an interest meeting for creating a new fashion/retail CIO, so I went to it. The meeting was led by a fourth year who always had this concept of making a more broad social and professional fashion organization in her head, but she never got around to it. Since she was graduating, she wanted to hand off the idea to a few select students and I was one of them. I’m lucky to now call her a good friend and I will always thank her for spamming so many email lists with that interest meeting blurb. Since its founding, how has FIFA grown among the student body? What makes FIFA a great outlet for students interested in the fashion industry? The biggest indicator that “we made it” as a new CIO was when we were awarded with Best New CIO 2013-14 from Student Council. Even in our 2nd year, I still get so excited when I hear someone talk about FIFA or I bring it up with someone and they already know what it is. Even if they don’t know what we are, but they know our name then that’s still a win for me. I’ve probably made this reference way too many times now, but I really do think the fact that our acronym is FIFA (like FIFA soccer) has helped our name resonate in students’ minds. More importantly though, our student body is so diverse and FIFA is increasingly reflecting that diversity as well. Although most wouldn’t readily think that students in the Engineering School would be interested in fashion, one of our officers is actually a Chemical Engineer and there are members who are engineers as well. This really shows the increasing integration of fashion and technology. Also, the majority of our members are girls, but we do have male members and one of our main goals this year is to attract more guys. 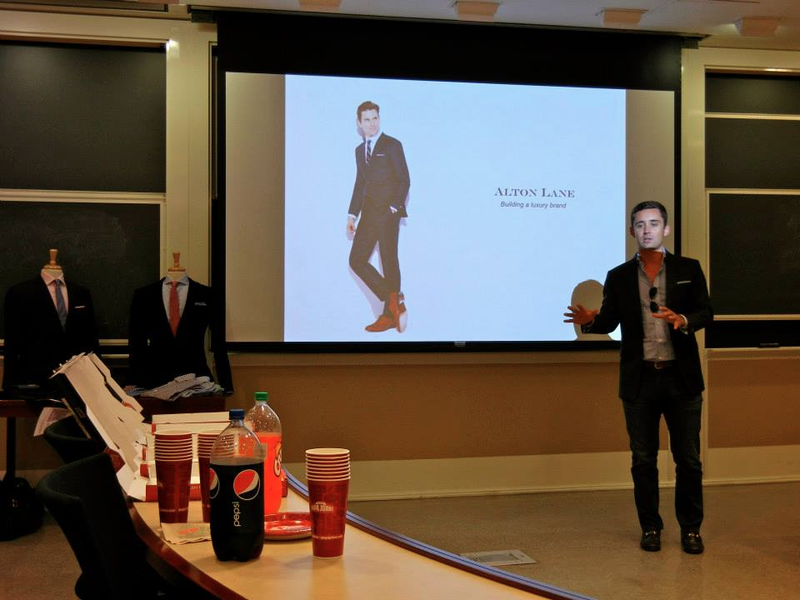 We’re hoping our next guest speaker will help: Keith George, the Chief Merchandising Officer of GILT. I think this diversity is also what makes FIFA such a great outlet for students interested in the fashion industry. One of our main purposes is to show students that there’s so much more than just the design side of fashion – you can work in finance, social media, or operations and still work in the fashion industry. 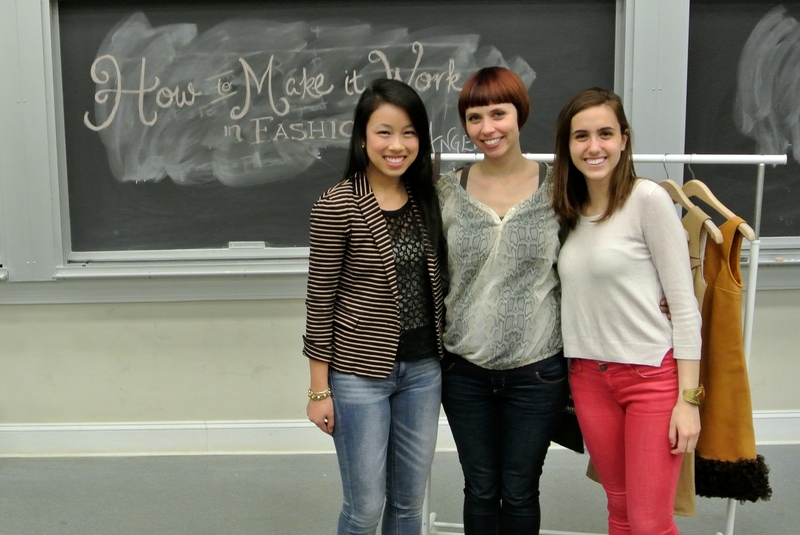 You can major in Politics, Engineering, or English and still work in the fashion industry. Because of this, we try to have a good variety of events and partner with different organizations as well. The Tom Tom Fest Creative Mixer brings together a variety of Cville designers, artists, and stylists. What role does the Charlottesville fashion and designer community play in the development of FIFA? Charlottesville is such a creative, artsy city and everyone we’ve met who’s in the fashion community here has been so supportive of our initiative. Suz Somersall (aka KiraKira) and Les Fabriques have been big supporters of FIFA from the beginning, and we’re planning to partner with more local businesses this year too. 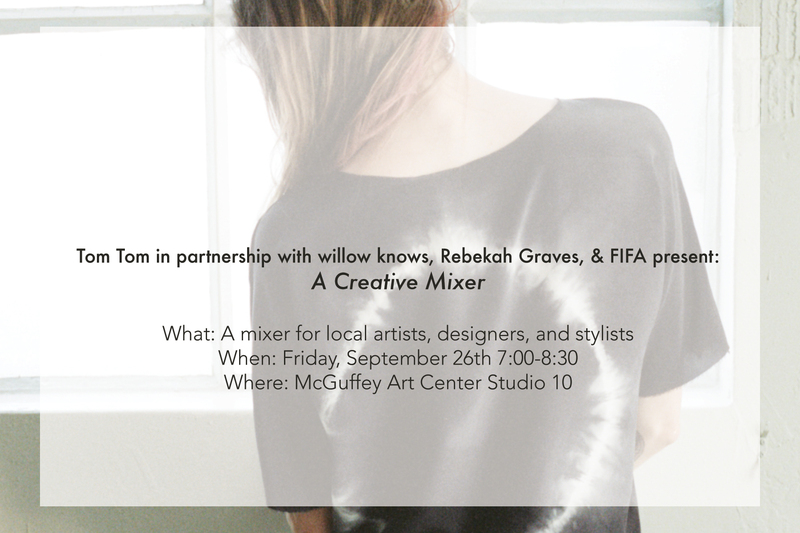 There’s going to be such a variety of creatives at the mixer, so we’re very excited to be apart of this great event! What is your favorite fashion trend this fall? My personal favorite trend right now is jumpsuits. They used to be such a 70s thing, but the jumpsuit has definitely become modernized and I’m so obsessed. For the past few months, all I’ve been searching for are jumpsuits and I have my eye on some from ASOS right now… They’re going to be so easy to throw on in the morning! A really good jacket or blazer. I feel like a jacket or blazer always pulls together my look and adds more dimension to even my plainest of outfits. Whether it’s a leather jacket or preppy blazer, invest in one (or many) that you love because I guarantee that you’ll always be reaching for it. What inspired you to design your own jewelry line? What do you hope aspiring designers (such as FIFA) take from this Creative Mixer? I have always loved creating things, from charcoals to oil paintings to poetry but it was not until I studied abroad in Tuscany my junior year at Brown that I happened to take a metalsmithing class. I fell in love. I knew immediately that my path would be to start my own jewelry company. Since then, everyday has been a learning experience, navigating starting a business and growing it. I hope aspiring designers can take advantage of the networking opportunities at the Creative Mixer. Some of my best placements and partnerships have come from putting myself out there and meeting new people at events. I can be shy, so I know it’s hard sometimes, but so much value can be gained from expanding your network of contacts. 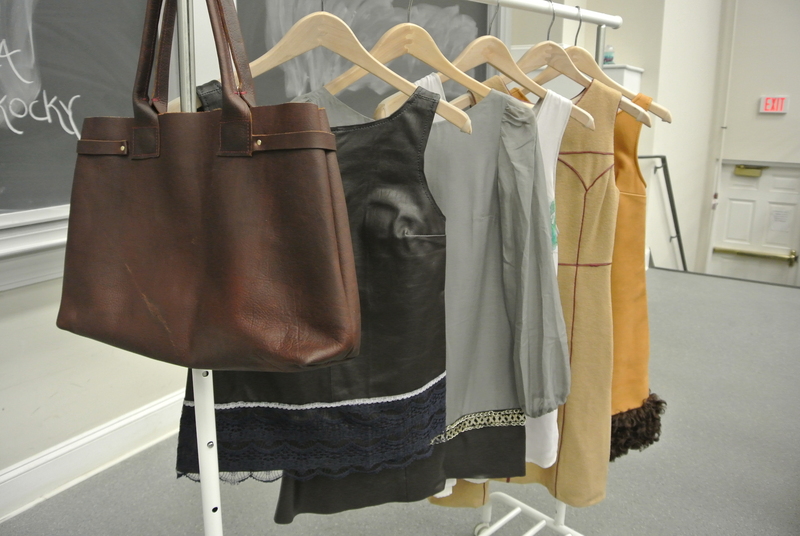 How have you seen the local Cville fashion community (boutiques, designers, stylists) grow over the years? The creative community in Charlottesville has definitely grown as a whole: restaurateurs, store owners, artists, musicians and so many other varied local entrepreneurs. I think this has enriched the variety of style in Charlottesville. I love that Charlottesville still has a core ‘relaxed chic’ identity, but there are more eclectic influences than in the past. I love it here! My PR firm is already prepping us for Spring/Summer 2015 trends, but I think for jewelry double-sided earrings and ear cuffs are coveted this Fall. I wear my Pour La Victoire green python flats and some piece from our Marrakech collection daily!